To say we were excited to be invited to tour the Medieval Times facilities in Buena Park would be an understatement! It is a sight seen by few of the general public so we were so honored when we were given the opportunity this past week. And of course my gal HAD to dress appropriately, she never misses an opportunity to dress up. The King's Stallion. Standing approximately 17 Hands Tall, he is a breed from the Netherlands. The Gentle giant with my daughter, I think they were captivated by each other. My girl having fun with the horses and their trainer. Our behind the scenes tour started with the stables that house the gorgeous stallions (the show features only stallions, the foals and mares are all in Texas at the Medieval Times Ranch we learned) Here in the stables where the horses are kept, groomed, bathed as we saw, fed and prepped for the show. They were stunning up close, almost seamed unreal how still and calm they were. A little assistance from a pro at crowns the princess and the knights of the tournament during training. Next stops were the main hall and then the arena where the knights were in full training mode. This was awesome, they interacted with my daughter and even let her hold their sword. Since they were playing up their battle moves she was laughing (I think it kind of confused her as to if it was real or pretend, this is a perspective taking /autism issue) The noise level at first was also an issue for her, we left for a brief time (to seek out the princess) then returned after adjusting to the loud clashes and we could then enjoy the arena and the knights practice. So during our brief break from the arena, we took the time to track down the princess to allow my daughter to adjust to the noises and my daughter was insistent that we find her anyway. In the middle of preparing for the show was how we found the princess so my girl was able to try her crown and grill her as to why she was not fully dressed (nothing gets past her) I explained that her lady in waiting must have stepped out. We finished our tour with taking our picture with the king and my daughter with the princess (this time fully accessorized) and then waited for the tournament to begin! Lucky Gals or what? The beginning of the tournament, such a spectacle of colors amongst the talented performers and horses. Okay so this was not our first time to Medieval Times for the Dinner and Tournament, third to be exact counting this time. We have had mixed experiences each time, mainly sensory issues (loud noises basically) but overall, great thus the reason we keep coming back. My girl asked for the black and white knight on our last visit and did so again on this visit! Autism and things always having to be the same. So much food, can't finish it all, take it home! Dinner is served! My daughter had the baby dragon, I mean chicken, rib, potato with bread and tomato bisque soup and I played the part of a vegetarian for the evening. My dinner consisted of a hummus plate with veggies and a stew made with potatoes, rice and beans along with other veggies. Both were very filling and very Delicious. The Falcon returning from his majestic flight around the arena. Black and Whitle knight for the win! and the flower that made her "Knight"
As the tournament got underway my daughter seemed a bit uneasy at first with the noise level but once things got going she was all cheers and rooting the tournament on, whew! "Bring on the castle bread" and "Go black and white Knight! "( She's 6 mind you) and as the evening progressed she REALLY wanted a flower, I feared with us being so high up she wouldn't get one, so I stood her up, waved a napkin and PLOP! right on her chair landed a red flower! MADE her night. Oh and I knew then he would win....and he did. Perfect ending to a perfect day with my gal, the kind memories are made of! I would sincerely like to thank everyone at Medieval Times for their generosity and their time in taking us on the tour of their beautiful facilities, just a great group of people I have to say. We had met a few of them at a previous Autism events and can only hope we see each other again to spread awareness again soon. If waiting in the Main Hall for the tournament to begin is too much stimulation, noise or the crowds are overwhelming you can ask to use the handicap entrance and be seated a few minuets before the rest of the public at a separate entrance. Just explain your situation and they will be more than happy to accommodate your party. We used this option and it was a HUGE help. Be aware that the tournament has loud noises and flashing lights. Seating your party to the end of your row allows you to leave for breaks if needed(this is where the early seating option comes in handy), The show runs approximately 2 hours. If eating with hands is a concern (tactile/sensory issues) I would say bring your own utensils (plastic if that is acceptable for your family member) or your normal flatware. I would advise your server of your situation as well. Have any other concerns/needs just give them a call! General note: The arena is a bit on the cool side, so bring a light sweater. Last but not least enjoy the show! The hardest words I NEVER comprehended said to me. "she has AUTISTIC-LIKE Behaviors" have any questions?" My reply" No". How can you ask a question about something you know NOTHING about? And so began our journey. 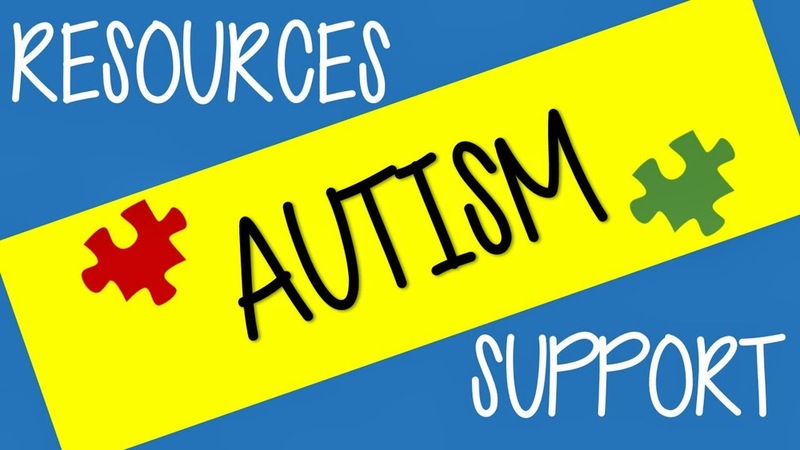 I have tried a ton of things to help my girl out and to educate myself on our journey through autism and this is a list of things that have worked for us. My girl is on no medications and has never been on any for sleep, moods, or attention issues. Also check in the month of APRIL during Autism Awareness month there are always great deals or free apps during the month too. Shaving cream with small toys another sensory game and great motivator. Just put them in a large bowl and squish away! Or the same can be done with water. This is a valuable tool to help children with time management and to plan ahead. Priming children on the autism spectrum is very important and having a visual schedule for them is very helpful. Knowing what is occurring next on the schedule also gives the child the opportunity to interact and a sense of accomplishment with it by removing the tasks upon their completion and placing them in the pockets. These schedules can be completely customized as your child's routines change. Laminated pictures with velcro , it is very easy to change the schedule. Visual calendar/ mark off or use favorite stickers. I use this to keep track of movie dates, school vacations, play dates, Disneyland trips, anything my girl is looking forward to. Reward box filled with prizes/work for bigger prize event. Movie, new toy, trip to park or preferred place, preferred snack. Token Economy Is also used to help motivate using pictures of preferred characters, the tokens can be used to help get homework completed or chores, use in the week and they get an item out of the box when the chart is filled. We used The Little Mermaid along with others so Lali would not get bored. These tokens were often used during her ABA sessions to motivate her, she was given the option of choosing which token she could place next. All the above are just suggestions again, some may or may not work for you, I tried many things, not all worked for my girl. I will say the hardest thing was potty training, took a complete year for both 1 and 2 on the toilet. It was a nightmare causing her to become sick and me at the brink of throwing in the towel. I could not find a re enforcer stronger than my girls fear of releasing in the toilet (#2) except for her desire to go to Disneyland. That was the push she needed along with their app that "inspired" and helped her through her fear and the day she did it I promised her she would get to go to Disneyland. Then it hit me, what am I going to do now after Disneyland? That is when the calendar came out with the Star Wars stickers (she loves Star Wars) and the month went by with mostly successes and another trip to the park. It was her motivator and our reason for a yearly pass. The calendar continued for several months the same and we continued with our monthly trips, without it she would not try going on her own and revert to holding it. It was all we talked about in our house for months, we were traumatized , she was at the point before this breakthrough where she was holding her bm's for a week and getting UTI's. It was so frustrating, we tried everything . We are on our second year of being pass holders now because we love it there, it's hard at times but so are other places. Lali is getting better each time and maturing as well learning to coup and try new things, she has come a long way in three years since we started this road of recovery . Our week was like this: one on one ABA therapy 2 1/2 hours a day , OT (50 min week), Speech therapy (50 min a week), and early school (pre pre kindergarten 4 hours day). Imagine a 3 1/2 to 4 year old having a week like that. Most adults don't have that crazy a schedule. We are done with the ABA but still have social skills classes to do but haven't found one we like yet and honestly WE needed a break from it to be a family and for her to just be a kid. She is now up to 6 hours a day at school with the OT and speech still the same but within her school day so things have calmed down a bit for us now. Above are coping strategies that were taught to Lali to use when she was mad , frustrated or sad. She was 3 1/2 when these were introduced to her....3 1/2! She has it now, and rarely needs them to calm down, but when she did it independently without being prompted or shown the visual, what a feeling! One of our last visuals made before ABA wrapped up, this helped Lali to stop yelling and calmly ask to speak with me about her feeling when she was upset, amazing how fast it worked! We have been on this roller coaster ride now for 4 years. I read so much when I first found out it made my head spin. It got to the point where I had to just stop. I never wrote about it because it consumed everything in my life before and there was a grieving process I went through that even my counselor didn't understand (ex shall I say). Visiting Disneyland or any other amusement park for that matter with a child or adult on the spectrum can be tricky and stressful, it’s not always a walk in the park. My daughter has Autism which is a neurological disorder. Autism causes her to have issues with understanding the concept of time among other things. My girl can become over stimulated with people being too close, sounds, smells and crowds. All of these things can cause people with autism to become stressed thus making the alternate entrance option (exit of a Ride) the better one when boarding attractions. At Disneyland and Disneyland California Adventure there is a system that is in place, the DAS. It can come in handy to assist in making your experience a much more magical one at the park. What it does: The DAS helps guests with cognitive issues like my daughter by getting a return time to one ride at a time and wait outside the ride's queue till the boarding time comes up (which is equal to the rides current wait time less 10 minuets). The subtracted time is due to what has to be done to get a ride time..
How do you register to use the Disneyland Disability Access Service (DAS)? : You will need to visit Guest Relations at either City Hall in Disneyland or the Chamber of Commerce in Disney California Adventure. Here you will be asked what your concerns are or issues you may have when visiting parks such as Disneyland. The DAS is valid for 2 months if you have an annual passport or for the duration of your stay with valid park tickets and it works at both parks regardless of which one it was issued in. You do have to go through a registration process and if your DAS time lapses it's validation date you will be asked the reason for your need all over again. Upon issuance you can select your first ride, get your boarding time as well as a park map detailing where the guest relations kiosk are located throughout the parks. It is there where you will get your future ride boarding times for the remainder of your stay. Where to get a boarding time for a ride: Visit any guest relations kiosk regardless of park and request the ride of choice. Your ticket or annual pass will be scanned along with everyone else in your party desiring to ride and the wait time relayed to you (less 10 minuets) When the ride time comes up you are free to go to that ride then or anytime after, it will not expire until you check in at the said attraction or change it for another ride at a guest relations kiosk. At the ride you will Check in by presenting your tickets again (look for handicap entrance) where they are scanned by a CM and you are free to join the line. It may be the fastpass return line, exit/handicap line or a point where you are merged into the general queue line. When you have finished the attraction you are free to visit another guest relations kiosk to select your next ride/attraction. With the DAS you are also permitted to utilize the fastpass system which gives you two rides you can virtually wait for at once. Special one on one time with the Characters at Disneyland make it all worth the while! List of Kiosk in Disneyland, Plus you can get your first ride time at City Hall when you get your DAS. There has been a lot of controversy over this new program which replaced the GAC that ended in October of 2013 due to the severe fraud that was occurring by non disabled people acquiring the pass. The new system has all but eliminated the problems that were occurring in the past. I still prefer the old system which was spontaneous and just more natural, it takes work to make the new system work for us on a good day. Even with added accommodations of Readmission passes which are not readily handed out by all CM's . What these passes are is a "safety net" for us, in case my girl passes a ride she HAS to go on right then and there or we have an extremely long wait for our next ride. We can use the Re-ad pass to go on that ride without a return time or if she wants to ride a ride immediately again after getting off one as many on the spectrum like to do. But again it is NOT an immediate boarding pass, we still wait and that on a busy day for a child on the spectrum can be very difficult. Unfortunately the new pass is not a "one size fits all", many disabilities are not as covered as our group is unfortunately. Wheelchair bound guest are given a return time directly at the ride of choice but without a DAS, it is not a blanket policy anymore. Ability to have return time while eating, shopping, taking restroom break. Added Readmission passes available to some that help out with those extra busy days and the “Immediate” need to ride. (which is still not immediate). But again these are NOT given out to most visitors but was done at the beginning of the transition between the GAC and the DAS systems. Always advocate for your family members if need be is my advise. Only you know what is best suited for them. Not having to wait in the general Queue with a special needs child/person who has no concept of personal space or waiting in general is a pro for them and the general public. Stroller as a wheelchair tag enables you to take a stroller up into the ride queue with child until point to boarding ride, keeping them and your belonging together and comfortable. Waiting for return time and then having child/person change their mind, you sometimes lose your time that you waited, all depends on the CM. No consistency among Cast Members with DAS rules when it comes to ride breakdowns and what accommodations they will make with your ride times. Rule is you should be issued a Re AD pass. This issues I run into less and less as the change from the old system to the new has settled with the CM's. Ride times are normally longer than normal stand by times with the DAS on busy days. Passing a ride and having to explain to your spectrum child why they have to wait to ride/come back at a later time. Indy -Very loud in the regular ride queue, wear headphones if loud noises are an issue. The ride itself is very jerky and loud. Utilize the exit to enter where you are merged in further down the line if not you will be added to the FP line. Big Thunder Railroad- Can be loud from riders screaming in the tunnels and the blasts/explosion. Again utilize the exit entrance if possible, though the wait to board is with no overhang and it does get hot in the summer months the line moves quickly. If you do not use the exit you will be added to the FP line.. Haunted Mansion -Utilize the stroller option if crowds are an issue as the main hall to board the ride gets very impacted and can be overwhelming. If no stroller is used you will be merged into the line at the point of entering the mansion. Splash Mountain -Utilize exit to enter, main queue can be loud and crowded and feel confining. If no stroller enter at FP lane. It's a Small World- If not using the handicap entrance, pick the right lane, it's faster. Wheelchairs can greatly add to wait times in the handicap line (left) during peek seasons. Star Tours- Enter ride at FP line. I have honestly never used the stroller option on this ride as it the line always moves fast. Pirates- Enter ride from exit with the DAS. Matterhorn- Enter from right side of ride. This is always changing and depends on park attendance. You will board from exit. Never have utilized stroller as wheelchair for this ride as the line moves fast. Finding Nemo Subs- Enter at exit (kinda confusing as the monorail entrance is directly next to it. Very tight enclosed space on the subs, keep in mind if this is an issue. Astro Blaster- Enter at far right next to green little men store. There you will be escorted and merged in with line. Peter Pans Flight- Enter handicap/exit lane. Alice in Wonderland- Check in and enter from exit. All other rides go to the exit and check in with CM to be given access to ride. This park since it is newer is very handicap accessible, not many needs to enter from exits and is only offered on a few rides for wheelchairs. DAS still utilizes exits or FP lines. California Screaming- With a wheelchair or stroller you can load quicker and enter from exit. Tower of Terror -Pick the right side to board when up to the point of split. Other wise there are stairs and the line tends to be longer. I have never utilized the stroller as wheelchair option on the ride as the line moves very fast. Radiator Springs - Again if you can take the far left once you are up to the split, it does not emerge with the normal lines or FP/single riders. You do this with a stroller as a wheelchair or a wheelchair. Grizzly River Run- Enter at FP lane. Line moves fast and have never used stroller as wheelchair option. Toy Story Mania- Enter at the left side at short ramp. The DAS does NOT work for character meet and greets which can be a very long wait on busy days (over an hour to and hour and a half) this to me is a big negative in my book. I normally go to the park alone with my girl and have no one to stand in line to hold our place. We opt instead for very slow park days or find them on the streets for the chance meetings. So please next time you see a perfectly normal looking child or adult in the handicap entrance, we are not abusing the system (most of us anyway) and if we are calm it is because the system IS working for us! My daughter and I are Annual Pass holders and visit approximately once a month as a reward/motivator to my daughter and well because we just LOVE all things Disney! The disability passes have been a blessing for my child, for without them I fear we would not have been able to enjoy the park equally and make the memories we have made. We still have bad days and hard moments we work thru on our trips (even on the days pictured here), but manage to find our magic with the help of a little Pixie dust. In the enclosed PDF you will find a great guide for planning a trip to Disneyland with family in the spectrum. It details the attractions if you are sensitive to sounds, smells, loud noises, lights, and speed. Along with if the attraction accepts Fastpass so that you can plan.